The ‘Black Pack’ and ‘Silver Pack’ – for the iconic Land Rover Defender. 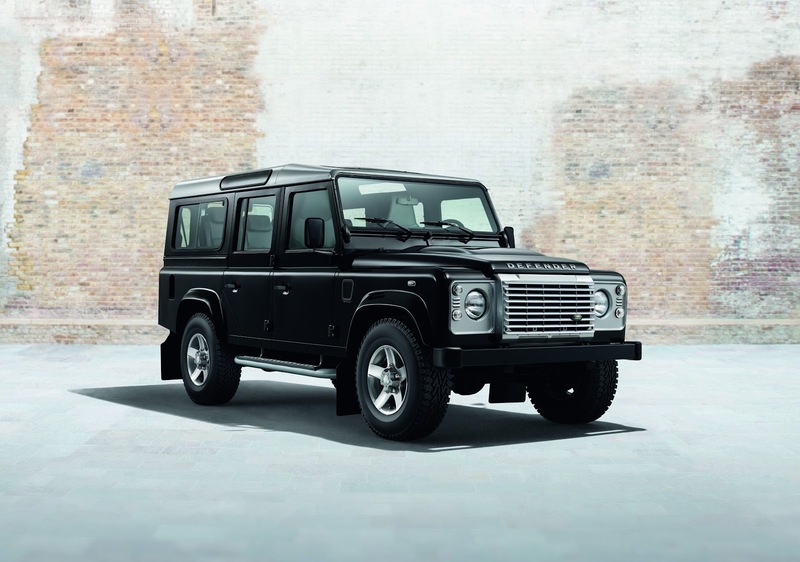 Defender will also benefit from a suite of optional features including a new aluminium finish to the vehicle’s side runners, contrast finish leather seats, privacy glass and, for the first time, an ebony Alston headliner which brings a touch of luxury and prestige to the rugged legend. Black Pack – This pack features a Santorini black finish, which is applied to the roof, grille, grille surround, headlamp surrounds, wheel arches, ‘Defender’ bonnet script and interior facia. Privacy glass and an ebony Alston headliner lend the vehicle added visual drama. The black pack will be available with two wheel variations – a gloss black Sawtooth alloy wheel and a new gloss black heavy duty wheel. 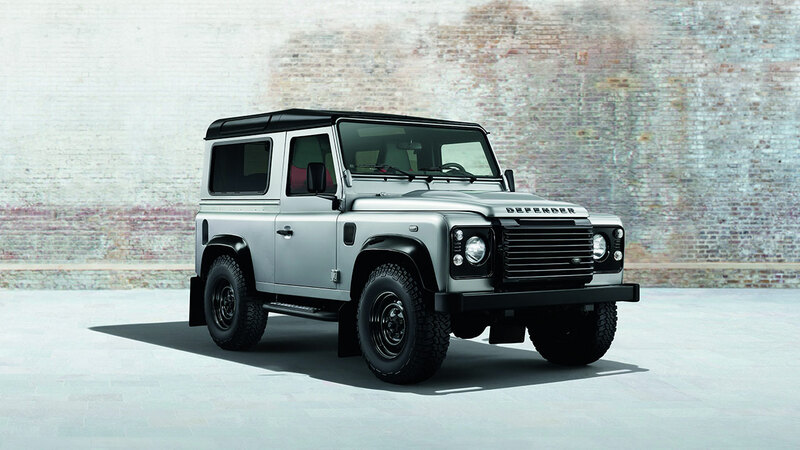 Silver Pack – The silver pack adds a bright Indus silver finish to the contrast roof (either body colour or contrast), which is complemented with the same finish to the grille surround, headlamp surrounds and facia. The vehicle also features the Dual Finish alloy wheels as standard and a bright light pack incorporating white tail and indicator lights. 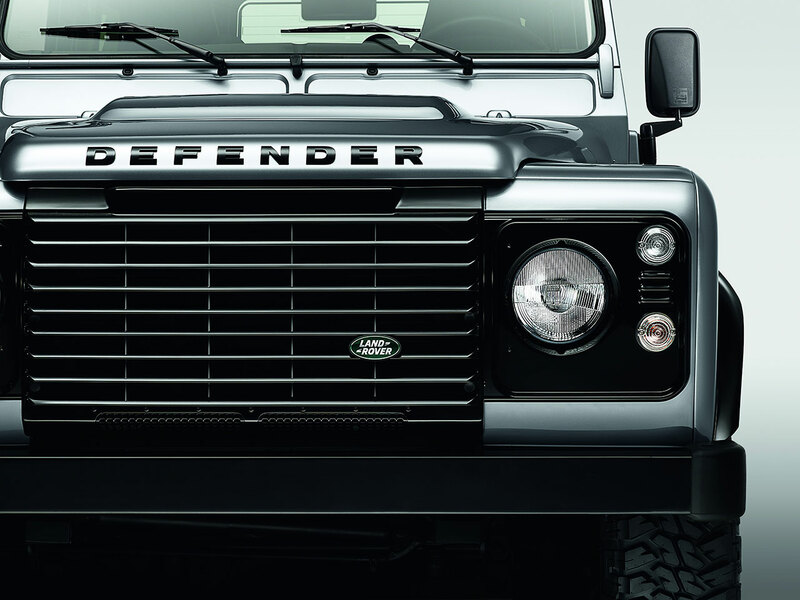 Defender derivatives are now available with the option of privacy glass. The option – standard as part of the black pack adds darkened glass to second and third row windows on the Station Wagon and to the alpine light and rear quarter light windows on Hard Top XS. Due to visibility regulations the rear door retains its standard glass. 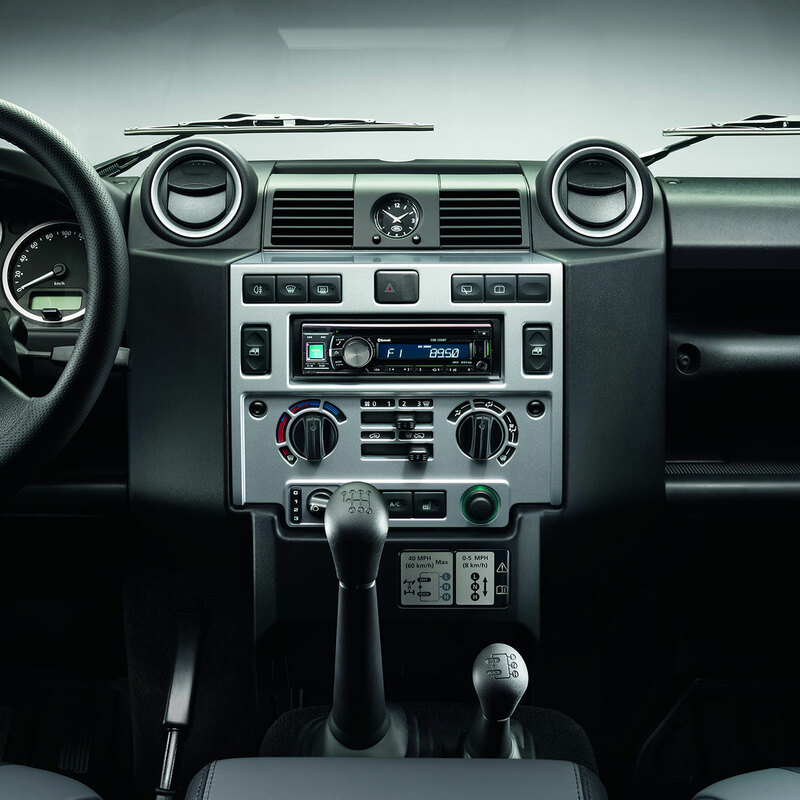 The new ebony Alston headliner on XS derivatives has a dramatic effect on the interior of the Defender, and complements the feel and style of the black pack option perfectly. 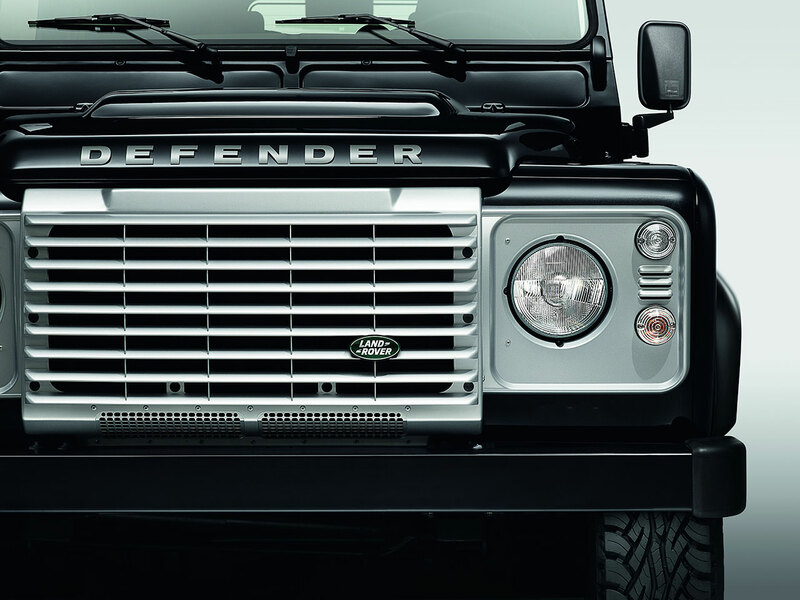 More traditionally seen on the Range Rover, this headliner brings an element of elegance to this off-road icon. 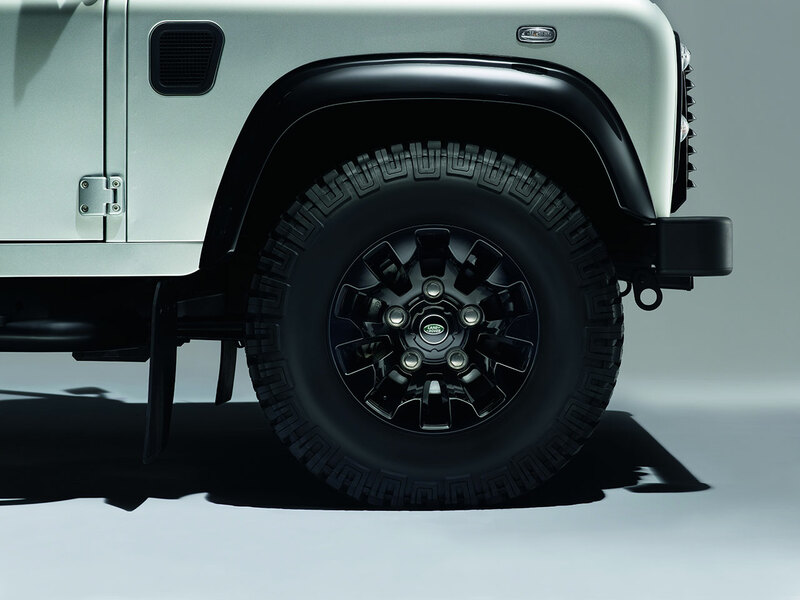 To improve the flexibility of these extensive personalisation options for Defender, a new finish will be available on the vehicle’s side runner. Painted silver, in contrast to the black side runner currently available, it is the perfect partner for customers opting to take the silver pack. 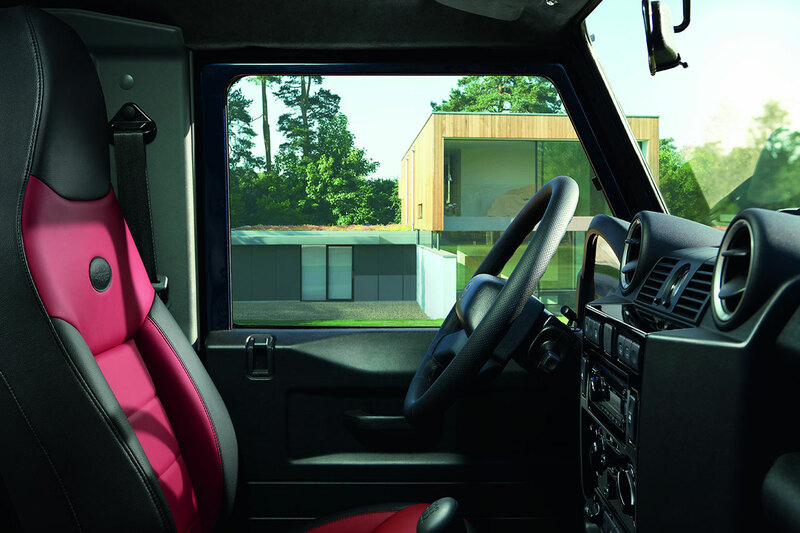 Defender is now available with optional contrast leather premium seats, which feature Windsor leather inserts, and a choice of three colourways; Ebony/Pimento, Ebony/Tan or Ebony/Lunar. If specified, this theme is also continued through to the second and third row seats on Station Wagons. To complete the look, the front centre stowage compartment features the contrast leather highlights. 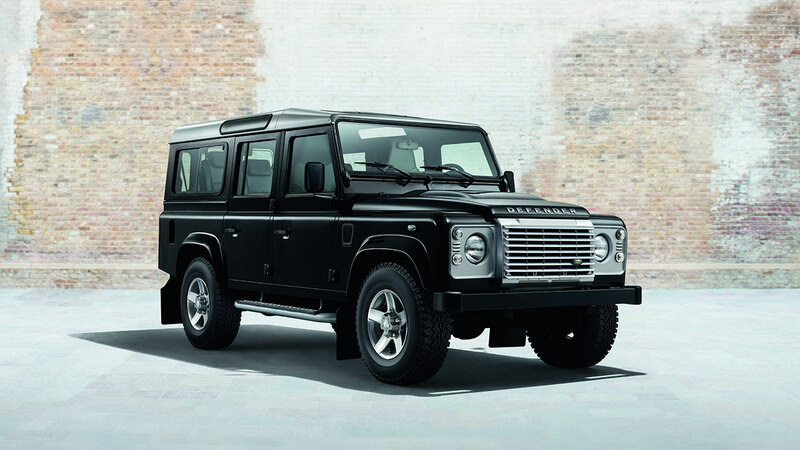 All UK specification Defender 90 and 110s are fitted with ABS and Dynamic Stability Control (DSC) as standard. 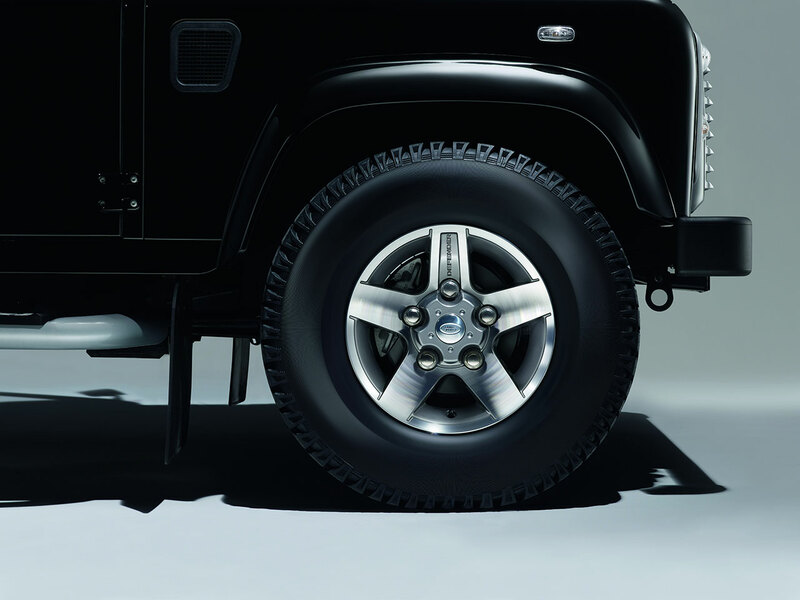 ABS will also be available for the first time on all 130 wheel base Defender models from quarter three 2014.